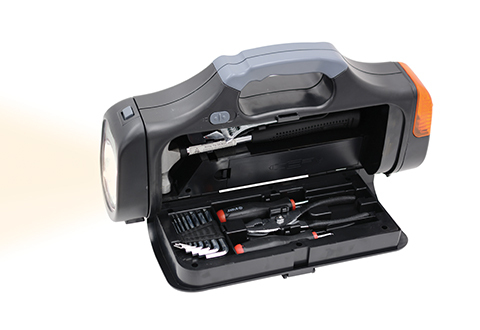 The Emergency Flashlight Tool Case is the must-have auto essential that stows easily in a trunk or under a seat. 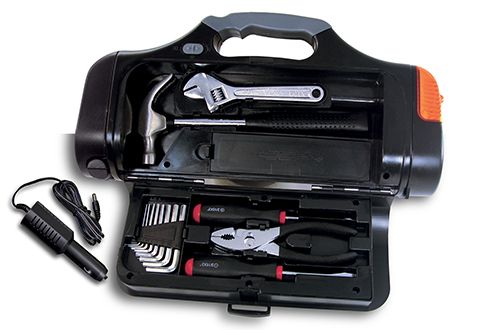 This convenient set includes an adjustable wrench, hammer, 8-piece Allen wrench set, Phillips head screwdriver, flat head screwdriver and pliers. 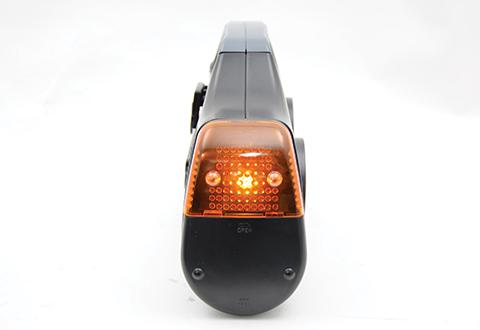 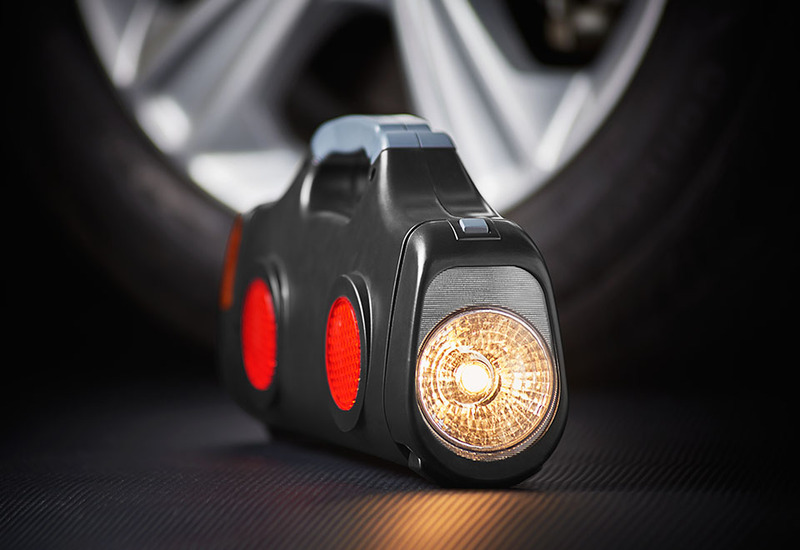 The durable black plastic case features a built-in flashlight and emergency flashing orange hazard light for roadside visibility and safety. 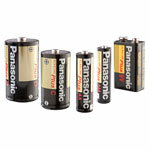 Be prepared for anything — put one in each car, one in your boat and one in your RV too! 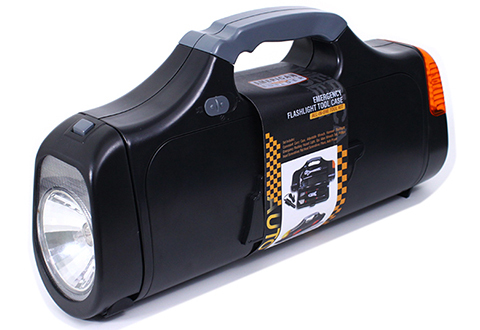 Get peace of mind on the road with the Emergency Flashlight Tool Case. 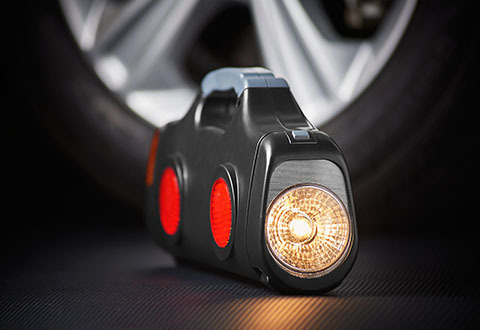 This handy kit contains 13 essential tools for most any emergency, plus a built-in flashlight and flashing orange hazard light for roadside visibility and safety.